Includes: 98 mirrors based on the first 100 Dolch words. 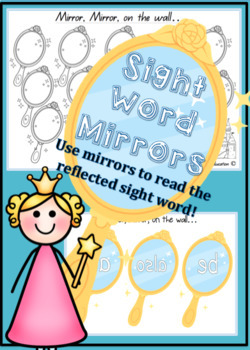 Print, cut and laminate sight word mirrors prior to use. Students are given a recording sheet and small mirror. 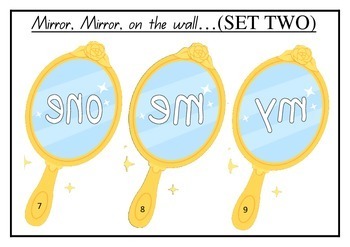 Students use the small mirror to create a reflection, allowing them to read the word. The word is then recorded on the corresponding numbered mirror on their recording sheet. 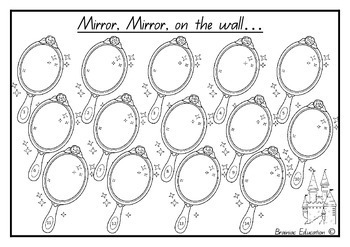 When all mirrors have been filled, students read their sight words to a friend or teacher.